Home » Blog » Cloud: The future for public sector telephony? 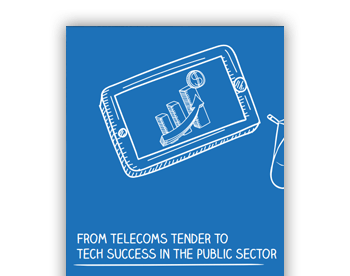 Cloud: The future for public sector telephony? Cloud-based telephony is becoming an important point of focus for the public sector. Find out why you need to embrace it. But what about cloud in the UK public sector? Cloud as the platform for flexible working. Changes in legislation at the end of June 2014 mean that any staff member can request the right to apply for flexible working if they have been in the organisation for a minimum of 26 weeks (previously it was only parents or guardians). This means you may need to introduce a way for staff to be able to access systems and work remotely. Could the cloud be your only real option here? According to 2013 Ofcom research, the availability of superfast broadband has seen an upsurge in internet use at home for work purposes – with 30% of respondents saying they are using it to upload work to the cloud. Cloud as the platform for remote working. Gartner produced a report in January that found 73% of UK public sector leaders are already using mobile technology to deliver services to employees and the public. 26% of respondents said they already offer it as a tool for staff in the field. Is it time to look at cloud telephony? From the end of 2013, the Government has allowed the use of Bring Your Own Device (BYOD) in the public sector – which includes access to the cloud by employees – meaning greater flexibility for the user. The rise of PSN, the Public Services Network, is encouraging public sector ICT leaders to look at new ways of delivering connectivity via shared services. Cloud-based telephony looks set to be central to the UCaaS, or Unified Communications as a Service market– in both the public and private sector. Now could be an ideal time to start using cloud-based telephony in your comms infrastructure in the same way as you are in your desktop, remote working and general ICT procurement.